Hooray for Chunky Knits! We all love them, right? It's probably one of the better parts about winter, if you ask me. 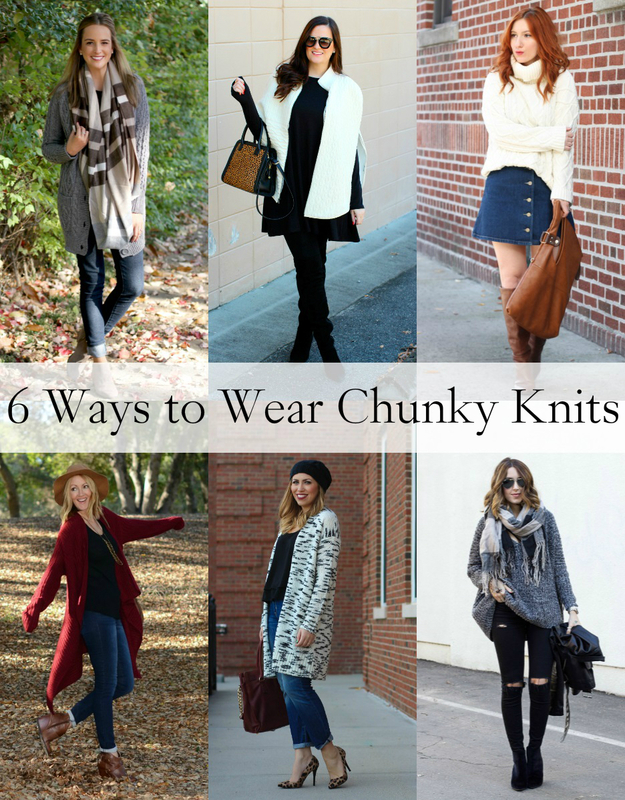 Which is why for this week's #styled6ways with my fab gals we're serving up chunky knits in our favorite ways. I personally am taking advantage of the last days of 60 degree weather by pairing my cream oversized turtleneck with a button up denim skirt and brown knee high boots (I know, I'm wearing them so much!). Retro and weather-appropriate, two of my favorite things. Check out how Alex, Tiffany, Jenn, Jackie and Kacie are wearing their chunky knits!